How did I end up in Accra, Ghana? For the past 2 months I have been based at Impact Hub Accra, Ghana. I still have 1 month to go in order to complete the internship and research component of my 1 year master’s in African Studies at Leiden. While based at Impact Hub Accra I have been assisting the team with business development as part of my internship responsibilities. My research, meanwhile, focuses on the role that the hub plays in facilitating the pathway of local entrepreneurs. In this series of blog posts I will be sharing some experiences of my time here. What does a day in my life look like, who do I hang out with and what kind of work am I doing? These are just some of the questions I will be answering in order to give you a glimpse into my time here. Before I write posts explaining my experiences so far, I thought it would be fitting to explain how I got here in the first place. So, how did I end up here in Accra, the capital of Ghana? This hot, bustling and energetic city has been my home for the past 2 months. Truth be told, when I first heard that I had been admitted to the master’s programme I never expected that less 4 months later I would end up in Ghana, let alone West Africa. As I knew that I was interested in the world of start-ups and the phenomenon of hubs, I started scouting for potential companies to contact for internships in early September. I initially searched the Internet for opportunities in Malawi, on the basis of my previous trips and fond memories of time spent in the “warm heart of Africa”. But my search took an unexpected turn. I was put into contact with the regional lead for the African Impact Hubs (5 and counting) and explained my situation. From this I was put in touch with the CEO and Cofounder of Impact Hub Accra, soon to be my future supervisor. A few Skype calls and emails later and my internship was confirmed. The countdown had begun! This is my first time in Ghana, and despite my extensive travel across the rest of the continent also my first time in West Africa. Yet Ghana is the perfect backdrop for me to both do my internship and conduct research. Ghana has become an emblem of African development, on account of its history of peaceful elections, economic growth and infrastructural progress. There are days that I walk around Accra and I feel that I could be in any metropolitan city across the globe. The tech and ‘hub’ scene in Ghana is thriving. The number of hubs, events and conferences across Accra firmly place the city in the league of Nairobi and Lagos. All in all, being open minded and flexible about opportunities and destinations propelled me to where I am today. Now that I am here, I can’t imagine being anywhere else for these 3 months. 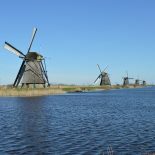 This entry was posted on March 10, 2017 by admin@theleidener in Guest Blogger, Study, Travel, Uncategorized and tagged advice, africa, african studies, blog, Inspiration, places, research, study abroad, study in Europe, study in holland.